Cunxi is a Postdoctoral Associate at Cornell University with Prof. Zhiru Zhang. 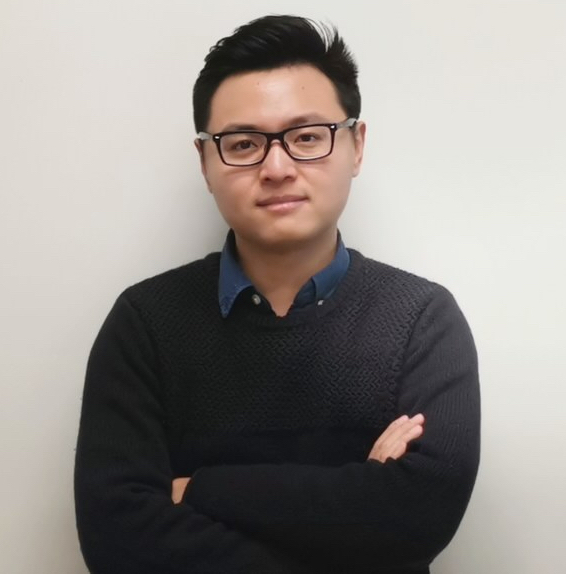 Before joining Cornell, Cunxi was a Postdoctoral Researcher at Integrated Systems Laboratory (LSI) at EPFL, Lausanne, Switzerland, with Prof. Giovanni De Micheli. He received Ph.D degree from University of Massachusetts Amherst (UMass Amherst) in 2017, under the supervision of Prof. Maciej Ciesielski. His research interests focus on applied machine learning, electronic design automation, deep learning, formal verification, and hardware security. His Ph.D. dissertation focuses on formal analysis of arithmetic circuits, including verification, abstraction, and reverse engineering using computer algebra. His thesis was nominated for ACM Outstanding Ph.D dissertation award by UMass. Cunxi spent 11 months as a research intern at IBM T.J Watson Research Center in 2015 and 2016. His work received the best paper nominations at ASP-DAC (2017), TCAD Best paper nomination (2018), and won the 1st place at DAC Security Contest (2017). 03/29 We are organizing The 30th IEEE International Conference on Application-specific Systems, Architectures and Processors (ASAP 2019) July 15-17, 2019, at Cornell Tech, New York City. Paper submission site is open! 02/18 I am joining the University of Utah in Fall 2019 as a Tenure-track Assistant Professor. Formal Methods, Electronic Design Automation(EDA), Machine Learning, Hardware Security. Ecenur Ustun, Shaojie Xiang, Jinny Gui, Cunxi Yu, and Zhiru Zhang. IEEE Symp. on Field Programmable Custom Computing Machines (FCCM), 2019. 2017 International Conference On Computer Aided Design (ICCAD'17), Nov. 13 - 16, 2017, Irvine, CA, USA. IWLS 2017, June 2016, Austin, USA. IEEE/ACM 22nd Asia and South Pacific Design Automation Conference (ASP-DAC'17), Jan. 16-19, Chiba/Tokyo, Japan. Cunxi Yu, Walter Brown, Duo Liu, Andre Rossi , Maciej Ciesielski. Cunxi Yu, Xiangyu Zhang, Duo Liu, Maciej Ciesielski, Daniel Holcomb. Formal Verification using Don’t-care and Vanishing Polynomials. Analyzing Imprecise Adders using BDDs - A Case Study. DAG-Aware Logic synthesis of Datapaths (Corrected version). IEEE/ACM 53rd Design Automation Conference (DAC'16), June 2016, Austin, USA. Automatic Word-level Abstraction on Datapaths. IEEE International Symposium on Circuits and System (ISCAS'16) IEEE, May 2016, Montreal, Canada. IEEE/ACM/EDAA Design, Automation and Test in Europe (DATE'16), March 2016, Dresden, Germany. Logic Debugging of Arithmetic Circuits. 2015 IEEE Computer Society Annual Symposium on VLSI (ISVLSI'15) , July 2015, Montpellier, France. Verification of Arithmetic Datapath Designs using Word-level Approach. 2015 IEEE International Symposium on Circuits and Systems (ISCAS). May 2015, Lisbon,Portugal. IEEE/ACM 52nd Design Automation Conference (DAC). June, 2015, San Francisco, CA, USA. IEEE/ACM 52nd Design Automation Conference (DAC-WIP). June, 2015, San Francisco, CA, USA. Verification of Sequential Arithmetic Circuit. Teaching Assistant, ECE 667 (Grad) - Synthesis and Verification of Digital Systems (Spring 2016), UMass Amherst. Approaching The Age of Autonomous IC Design System. Cornell, UMass, UoUtah. Approaching Human-Free Synthesis Synthesis for IC Design. Technische Universität Kaiserslautern. June 2018. Advanced Datapath Synthesis using Graph Isomorphism. ICCAD 2017, Irvine, CA, USA, November 2017. Reverse Engineering Irreducible Polynomial of GF(2^m) Arithmetic. DATE'2017, Lausanne, Switzerland, March 2017. Efficient Parallel Verification of Galois Field Multipliers. ASP-DAC'17, Japan, Tokyo/Chiba. Formal Analysis of Arithmetic Circuits using Computer Algebra Method. Cadence Conformal LEC. September 2016, Cadence, San Jose, CA, USA. Formal Verification using Don’t-care and Vanishing Polynomials. 2016 IEEE Computer Society Annual Symposium on VLSI (ISVLSI’16) , July 2016, Pittsburgh USA. DAG-Aware Logic synthesis of Datapaths. 53rd Design Automation Conference (DAC’16), June 2016, Austin, USA. Logic Minimization of Multiplexers and the Surrounding Logic. IBM CMOS Design Forum. August 2015, Yorktown Height, NY, USA. Verification of Gate-level Arithmetic Circuits by Function Extraction. 52nd Design Automation Conference (DAC’15), June 2015, San Francisco, USA.